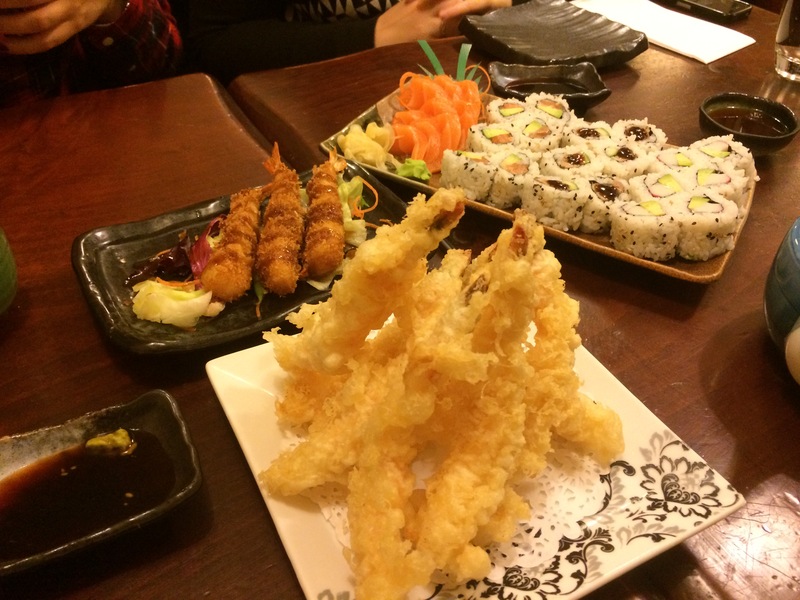 Those all you can eat Japanese places in London are quite decent, I’ve reviewed many here on the blog. There’s a different format setting in each place. Mr Sushi is along Shepards Bush road, near O2 Shepards Bush. You can order food from the menu or sit in for the buffet menu. 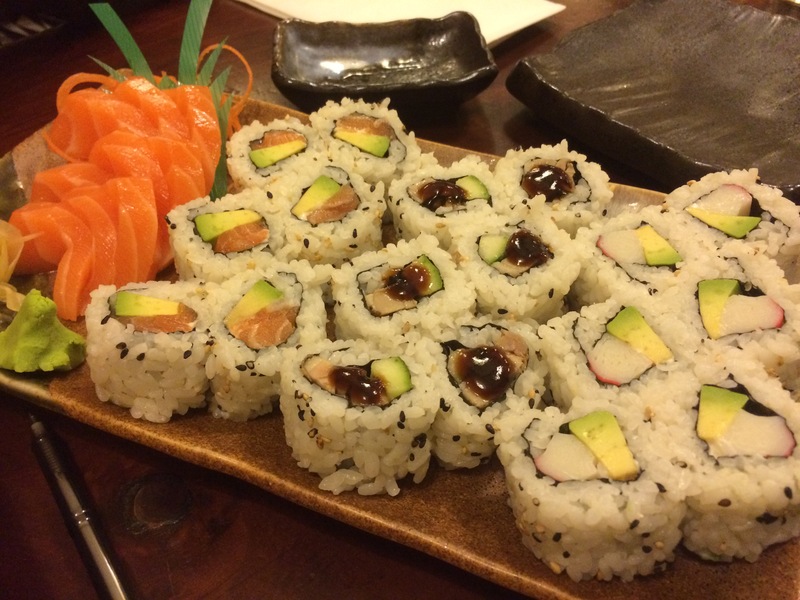 The buffet menu at Mr Sushi is extensive with plenty of different options for a price of £18.50. There’s a two hour limit, and there’s no limitations on how much you can order. There’s been instances in other places where we could only order 3 slices of sashimi in one sitting. You tick 6 items to eat at a time and hand over the paper to the waiting staff. 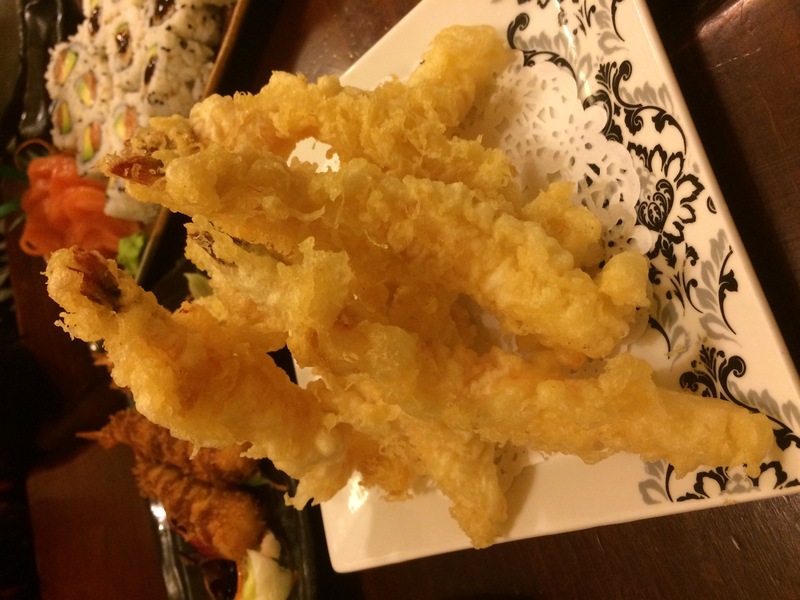 Starters, we had tempura prawns, super size jumbo prawns coated in a light crispy batter. 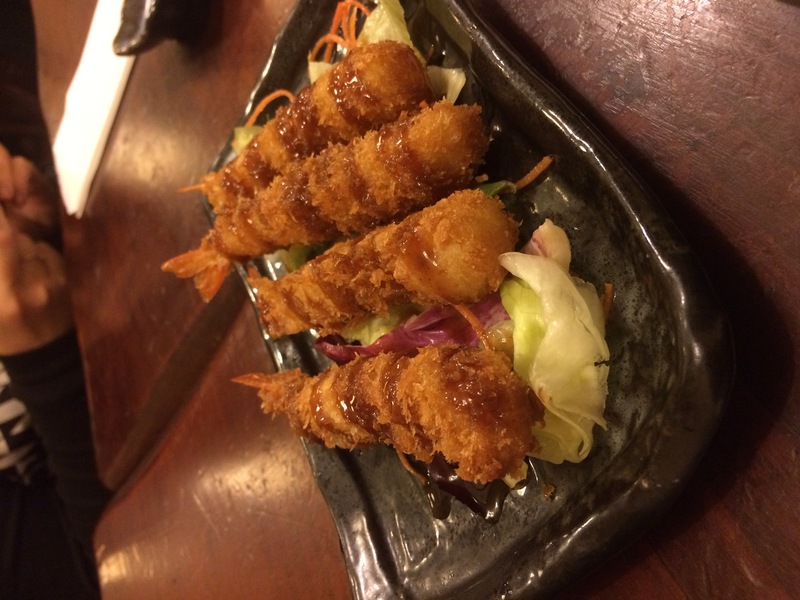 Ebi prawns are the breaded coated versions, drizzled with a Worcester style sauce. Biting inside the prawns, a mayo garlic flavour finishes in your mouth. You going have to order anything salmon related, pleasantly plumped and fresh tasting. Sushi here is decent, we ordered plenty of California rolls, inside out and maki rolls. My only complaint have to be seasoning of the rice. 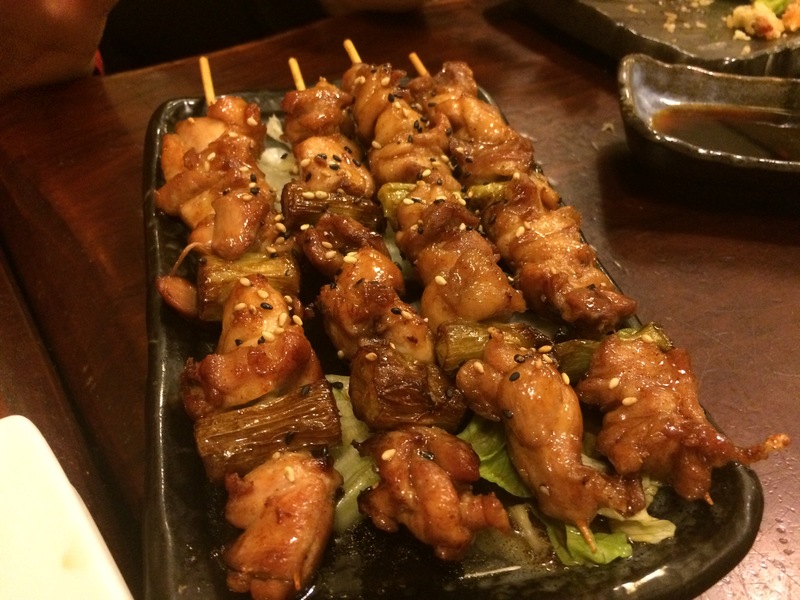 Progressing to hot dishes, yakitori chicken came grilled with vegetables in between the meaty pieces on skewers, topped with black and normal sesame seeds. My friends ordered a tonkatsu on rice and tonkatsu udon noodle soup to share. Tonksatu is cooked decently and no cheap meats were used. 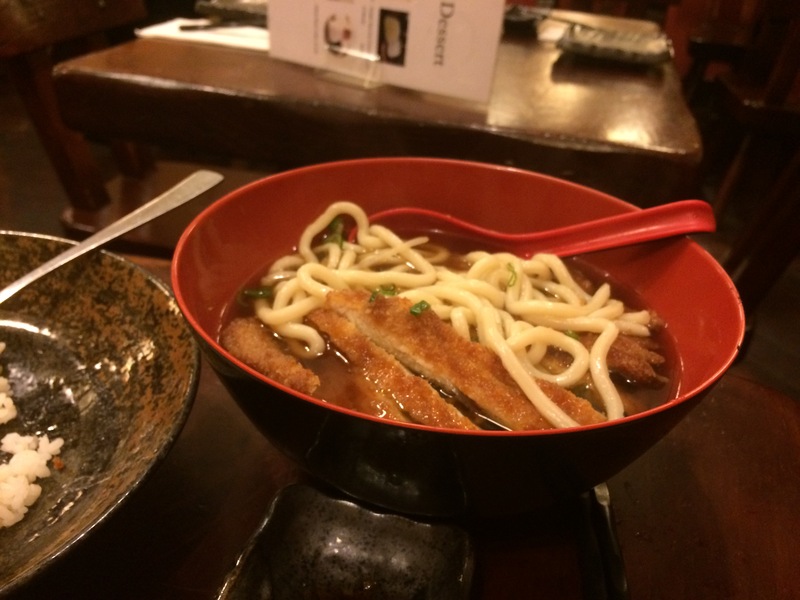 The udon soup uses a bonito flakes base, that works well with any meat accompanied. 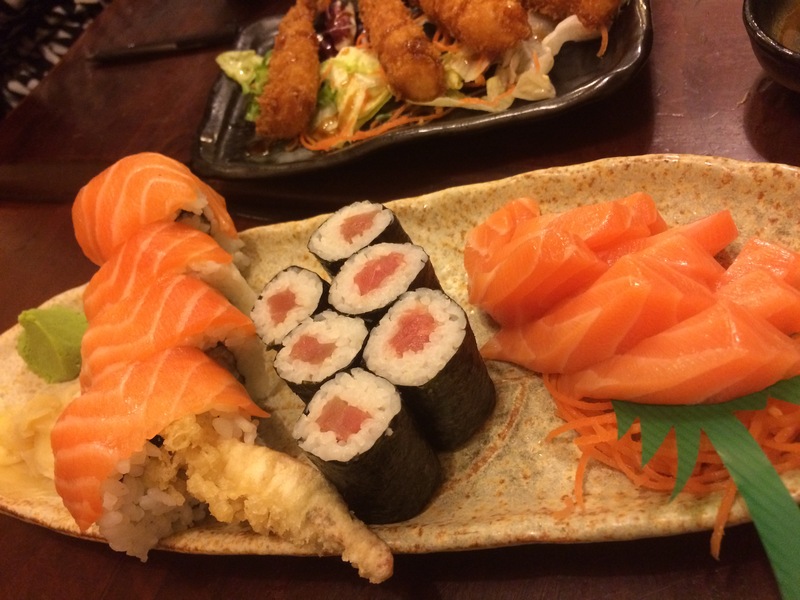 I have no complaints with going back to Mr Sushi for a buffet, no frills cheap and cheerful meal in West London. Thanks for reading! There’s quite a few in London.